It’s time! The Creative Content Foundations course (known around our virtual offices as “Lucile”) is just about ready for new students. I designed this class for new and intermediate content creators, to give you the professional skills that will wow your boss, clients, or customers. This course will be offered at a slightly ridiculously good price when we launch it, so if you’d like to jump in and get what can only be described as a “screaming deal,” go ahead and get on the interest list. As always, if you get rolling and decide it’s not a great fit, you’ll have a full 30 days to get a full refund. Our main goal is to get a lot more people feeling confident about their ability to create meaningful, high-quality content, and to use that content to reach all kinds of practical goals. On Monday, Stefanie Flaxman made the case that The Coffee Shop Is Sexier than The Bar. This is a poem of sorts that will evolve over time — if you’re curious to see where it goes, bookmark the post and come back! On Tuesday, Kelton Reid challenged us to face our addiction to “productivity” for its own sake and the drive to create an endless volume of content that’s … not all that good. He offered ways to keep the thirst for “new and shiny” under control, while focusing on consistently creating more meaningful work. And on Wednesday, I talked about why it’s easy to get intimidated by content marketing these days. (Hint: It has a lot to do with the crazy volume of fluff and uninspired filler that Kelton mentioned on Tuesday.) 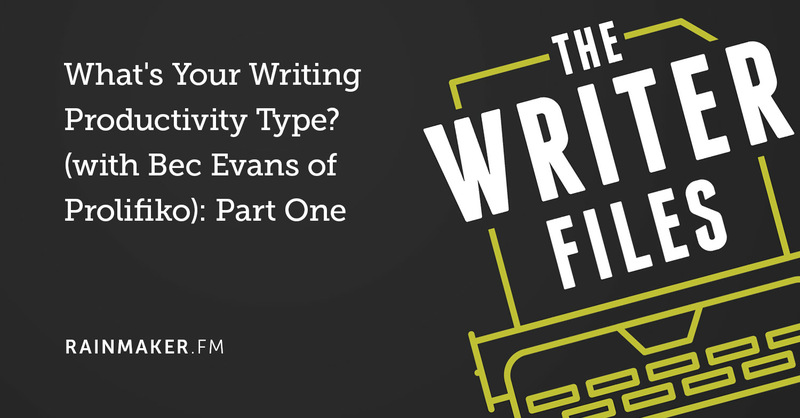 I also gave you some more details about what we’ll be covering in the Creative Content Foundations class. 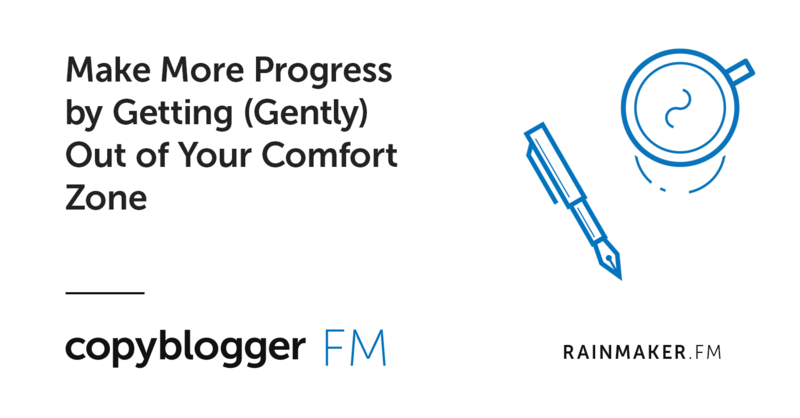 Over on Copyblogger FM, you’ll learn how to get “comfortably uncomfortable” — how to move beyond your comfort zone so you can make progress on your creative work, without feeling like you’re clinging to a cliff’s edge by your fingernails. 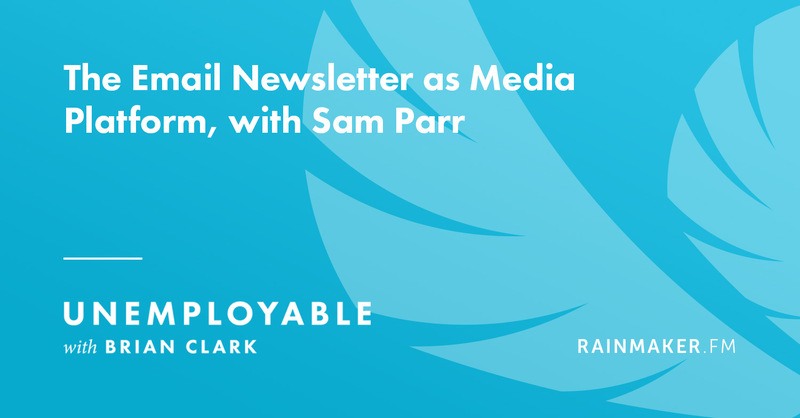 On Unemployable, Brian Clark had a conversation with Sam Parr, co-founder and CEO of one of the best examples of an email-based media company — The Hustle. Parr’s brainchild is also an example of how you might shift your thinking when it comes to audience building and client development. And on Site Success, Jerod Morris presented three key questions to ask once you’ve selected a WordPress theme for your new site. Hope you enjoy the content, and I look forward to connecting with you further inside the new course! This looks like a very interesting course. 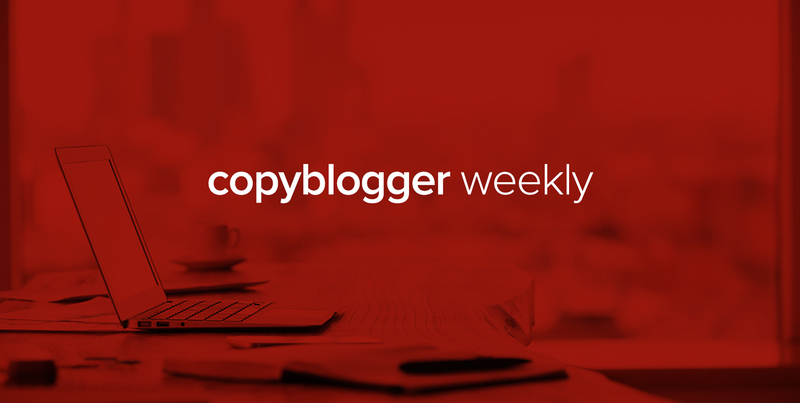 With the low barrier of entry to get content online these days, important copy is crucial. The 30 day guarantee is also a nice touch. Sharpening your content skills is a smart idea. It’s an investment you make to get more done in such an effective way – with your content skills. Content is what drives the internet and it’s what makes businesses brand and expand.